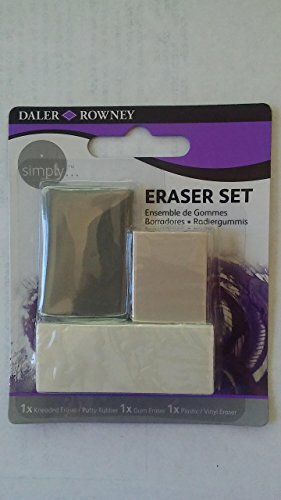 These high quality sketch artist erasers can be used for pencil, charcoal, ink etc. Removes the marks cleanly and on multiple surfaces. Great for a art students or the advanced Artisan. Great kit for art students, sketch artist or the casual doodler! If you have any questions about this product by Daler Rowney, contact us by completing and submitting the form below. If you are looking for a specif part number, please include it with your message.